White gives the impression of a very clean and open space, which is perfect for a modern-looking bathroom. Q: Do you have any color suggestions that are now hip for my new bathroom? A: This question has me drawing a blank. The reason I’m blanking out is because from what I’ve recently seen, a new bathroom color trend is going with a white-on-white palette. I mean a lot of white stuff: white plumbing fixtures, cabinets, floor tiles and walls. The fixture trim, accessories and faucet finish for this trend is brushed nickel, and the white reflections really bring out the matted finish. 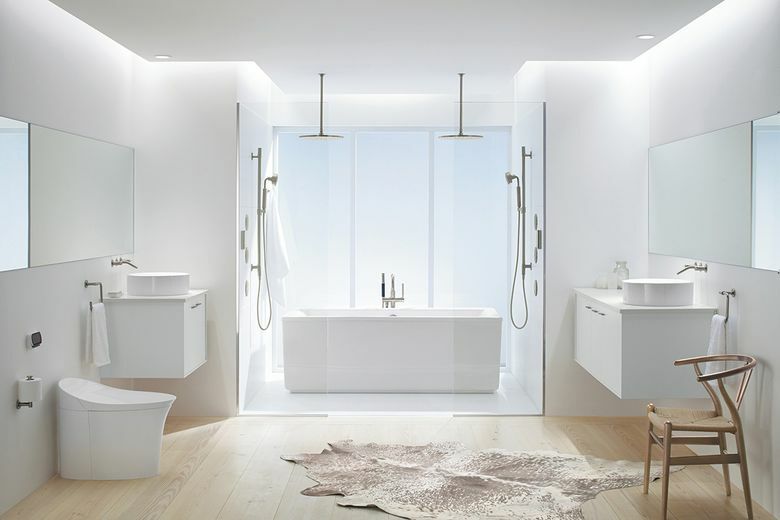 White also gives the impression of a very clean and open space, which is perfect for a modern-looking bathroom.